ONE OF the hottest tickets in this year’s Galway International Arts Festival is Kneehigh Theatre Company’s exhilarating production of Tristan & Yseult which runs at the Town Hall Theatre from July 18 to 22. First staged al fresco in a Cornwall castle in 2003, and later triumphantly transferred to the West End and Broadway, the show catapulted both Kneehigh and director Emma Rice to international attention and acclaim. It is an ebullient retelling of an ancient legend concerning Cornish King Mark, his intended Irish bride Yseult, and the gallant hero Tristan with whom she falls in love. A timeless tale of forbidden desires, broken hearts, and the agony of choosing one person over another, and seen through the eyes of the ‘Chorus of the Unloved’, Tristan & Yseult blends grand passion, live music, comedy, and tender truths in an irresistible night of theatrical love. 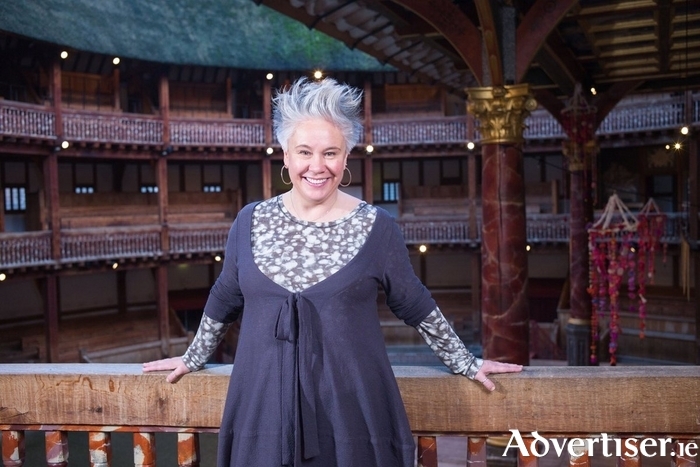 Ahead of its Galway visit, Emma Rice spoke with me about Tristan & Yseult and Kneehigh, beginning with how being a Cornish company affected their development. “Cornwall influenced us in so many ways, Kneehigh emerged from its community," she says. "It was a group of people who already lived there who wanted to make work, not only because we chose to do it but because nobody wants to come down to Cornwall. We couldn’t get people from London because we were an unknown company so we grew up completely independently as artists; we weren’t watching every London press night or thinking about where the next job was, we were just making work with each other. The Kneehigh troupe are a motley bunch as Rice readily admits: “The people that are drawn to Kneehigh tend to be outsiders; in the early days we had a sign-writer, a trash guitarist, a plumber, and puppeteers but we all pulled together as a ragtag and bobtail team with this unusual set of skills. I loved using the welding skills of a guy who was a welder because it looked great having welding on stage! Rice first joined Kneehigh as an actor in 1994 but working with the company saw her start directing; “I never had ambitions to be a director before joining Kneehigh but I was becoming a very involved theatre-maker,” she relates. “I had worked with a company in Exeter called Alibi that did a lot of storytelling for children which was very devised and I was becoming very creative in that world. Moving on to Tristan & Yseult, Rice describes how she approached the story; “I really struggled at the beginning. I found that whole medieval world very hard to connect to with its dragons, knights, and weird dwarves. I initially decided it would be told by a chorus of Cornish saints and we did a lot of work with that. We had a dragon on stilts and I can remember after the first week’s rehearsals thinking ‘This is awful’. "I decided I didn’t want to tell a story about the two beautiful loving people, I wanted to tell one about the people who aren’t loved. There is this brilliant phrase in the legend, only two lines, which says Tristan went on to marry another woman, also called Iseult, but never consummated the marriage. I realised she’s the one I am interested in; she is the one who is so damaged by love and that is when everything changed with the 'Chorus of Unloved'. After its first open-air staging, Tristan & Yseult went on to enjoy many triumphant revivals and international tours. How did the show develop over that time? “It evolved enormously though anyone who saw it in that earliest incarnation would absolutely recognize the show as being the same,” Rice replies. “When we were first picked up by the Royal National Theatre we went from recorded sound to a live band and now that live music is very much part of the event. As different actors have stepped in and out of the roles, it’s like a squad system, we don’t recast; people leave and come back in different roles, and it honestly feels like we have brought our own experience and different actors have just added to it so it is like an amazing quilt of humanity that just gets richer every time we revisit it.